Reverse osmosis (RO) and Nanofiltration (NF) are used across a wide variety of industrial applications for removal of dissolved materials from liquid streams. Implemented judiciously, RO and NF are effective strategies for recycling process liquids, reducing waste water, recovering and concentrating dissolved materials, and generating potable water. 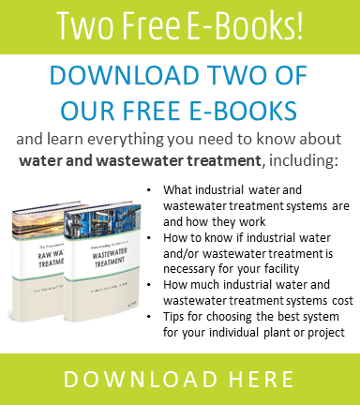 If your industrial facility requires removal of dissolved materials at any point in the process stream, then you may be asking “Does my facility need a reverse osmosis or nanofiltration system?” This article will help you understand key applications, benefits, and drawbacks of RO/NF so you can make an informed decision. 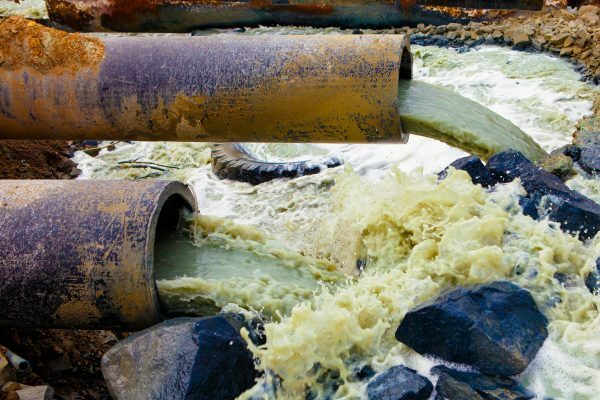 RO/NF and conventional treatment processes are capable of removing many of the same contaminants, including hardness, heavy metals, organic molecules, radionuclides, and total dissolved solids (TDS). Conventional separation processes are often complex multi-step systems that demand a variety of operational resources, which can include chemicals, energy costs, and space to accommodate their large footprint. RO/NF, on the other hand, use relatively compact membrane elements to physically separate substances without the use of coagulant chemicals or energy-intensive heating and cooling. As a result, RO/NF can be more efficient than conventional treatment systems, and occupy a much smaller footprint. The downside is that RO/NF systems have historically commanded a steep initial investment, which has generally put them out of reach unless process conditions made them absolutely necessary. But that’s starting to change, as growing environmental concerns and advancements in RO/NF membrane technology have recently led to wider adoption and lower up-front costs. As these trends continue, RO/NF is expected to become increasingly competitive with conventional treatment systems. While choosing RO/NF over conventional treatment processes often involves weighing a variety of factors, there are some applications for which RO/NF is uniquely suited. If your process demands removal of nitrates or sulfates, then RO or NF is likely your best bet. Nitrates and sulfates cannot be efficiently removed through conventional treatment methods, such as coagulation and filtration, thus, to ensure consistent permeate quality and process efficiency, RO/NF is generally the most practical choice. Likewise, if your process demands removal of dissolved organics, RO/NF is often far more effective and efficient than alternative separation strategies for removal of organics such as pesticides, agricultural residuals and pharmaceuticals. For example, RO/NF can operate at room temperature, making it a far less energy-intensive process than distillation for dissolved organics removal. Additionally, RO/NF delivers consistent permeate quality, while microfiltration (MF) or ultrafiltration (UF) must be paired with coagulation, and do not remove dissolved organics as reliably as RO/NF. Additionally, recent advancements in NF membrane technology have resulted in better resistance to organic solvents, which has spurred the adoption of NF for exchange, separation, and recovery of organic solvents and catalysts. Hardness, or the presence of calcium, magnesium, and other metal cations in water, often leads to scaling in pipes, cooling towers, or equipment, which can negatively impact the efficiency of your process and drive up operational and maintenance costs. While many facilities turn to lime softening or ion exchange technology for water softening, RO/NF is capable of removing problematic divalent ions without the maintenance or waste that other softening strategies can entail. For some applications, RO/NF system maintenance is far more cost-effective than having to regenerate ion exchange resins and/or dispose of concentrated brine waste. RO/NF are used in the power industry for reliable removal of contaminants and minerals from process streams in order to prolong equipment life, increase cooling tower cycles, and to minimize water consumption by facilitating reuse. In the refinery industry, RO/NF are frequently deployed for recovery of valuable materials, such as lithium. While NF is frequently thought of as a means of treating aqueous solutions, the technology can be effectively applied for separation of other process or waste streams as well, including one petroleum plant’s large-scale use of NF for oil dewaxing. RO/NF support a variety of specialized chemical processes too numerous to list. RO/NF are typically applied in chemical production for processes that demand consistent quality in the permeate stream. NF in particular is able to process large volumes of liquid relatively quickly. RO is used extensively in the oil and gas industry for potable water generation in areas where drinking water is scarce, such as deserts, and off-shore oil rigs. RO/NF is frequently used within the mining and metals industry for treatment and recycling of waste streams generated by mining operations, metal finishing and plating, as well as the recovery of valuable materials. Typical applications of RO within the food and beverage industry include the treatment of process water for reuse, and the reduction of biochemical oxygen demand (BOD) in wastewater prior to discharge. The food and beverage industry relies on NF for a variety of specialized applications, including the concentration of sugar and dextrose syrup, the production of alternative sweeteners, degumming of solutions in edible oil processing, and the concentration of whey proteins in dairy industry. RO is used extensively at desalination plants. While RO delivers the purest water possible, NF was developed for removal of larger molecules while allowing desirable minerals to flow through. Increasingly, NF is being used to support a variety of water purification needs, such as removal of residual disinfectants from drinking water.